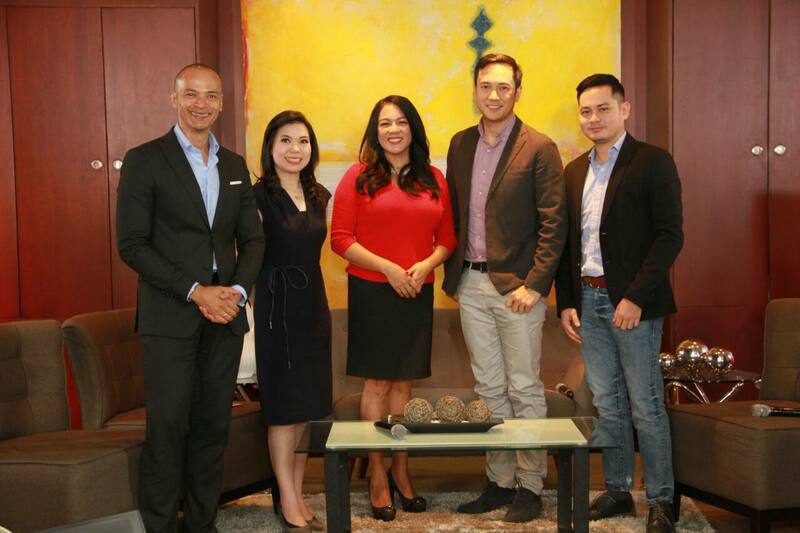 ANC, the ABS-CBN News Channel, formally launched its new lineup of programs headlined by the new morning show “Early Edition,” primetime news program “The Bureau,” and the daily sports newscast “Gametime” in a presscon held today (Mar 15) in ABS-CBN. The country’s first 24/7 English language news channel also introduced the new members of its broadcast team – Annalisa Burgos and Migs Bustos – as ANC continues to strengthen its programming and deliver the best news coverage and content to business leaders and decision-makers here and abroad. “Early Edition,” anchored by TJ Manotoc and Annalisa Burgos with Paolo Abrera, Michelle Ong, and Christian Esguerra, delivers the latest local and global news, financial updates, and breaking reports starting at 5:30am from Monday to Friday. The program includes interviews with experts on politics, the economy, and foreign policy and also discusses trending topics on sports, entertainment and lifestyle. The show is the first major assignment for international news anchor Annalisa, the latest addition to ANC’s formidable roster of journalists. The Los Angeles-born journo brings with her over 17 years of experience, covering the news, business, and lifestyle beats in the USA and later in Asia for organizations like Channel NewsAsia, HGTV, Forbes, CNBC, and Bloomberg. Annalisa shared why she decided to continue her career in the Philippines and with ANC, which happens to be the only English language 24/7 news channel in the Philippines that is broadcast internationally. “I admire the company's journalistic reputation and commitment to informing Filipinos across the world. I grew up watching The Filipino Channel and learned Tagalog by watching it with my grandmother. So many Filipino immigrants rely on ABS-CBN to stay connected to their motherland and I'm honored to be part of this tradition,” she explained. Annalisa revealed that as someone new in the country, she is also able to give a fresh perspective on issues. “I like to challenge the way people see things, so expect to see different points of view. I offer an outsider's take on what Filipinos may take for granted or miss,” she added. Migs, a true blue sports aficionado since childhood, is living beyond his dreams as the main man of ANC’s newest sports show. 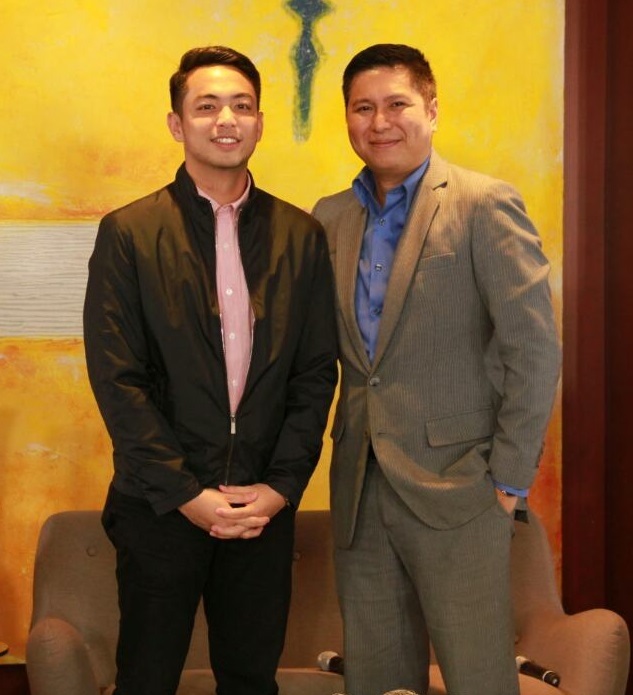 The youthful anchor said his initial goal was just to be able to call games as a sports commentator, but his hard work and faith paid off and opened even more doors for him. On “Gametime,” Migs promises to bring the energy of the games to the newscast, while also providing sharp analysis of performances and issues in sports for the day. “When a viewer gets home from a tiring day, the best way to relax is by watching the program. The analysis and in-depth coverage of sports events is also something they should watch out for,” he said. Meanwhile, ANC is also introducing a primetime edition of “The Bureau,” which offers a comprehensive take on international news and events with reports from worldwide news resources. At the helm of the 7pm edition is Ron Cruz, while Karmina Constantino remains the anchor at 4pm. Ron is one of ANC’s most loyal anchors, having been with the channel for 21 years. For his new assignment Ron hopes to address the demand of viewers for more global news and stories. “The world is getting really small and Filipinos want to know what’s happening around the world that directly affects their lives and can affect their businesses here,” he explained. Apart from new shows and anchors, ANC also introduced changes in its program grid to ensure that it delivers news to its audience every top of the hour. “ANCalerts” airing at a later timeslot at 5pm, followed by “Top Story”, and ANC’s current affairs block at 6:30pm, featuring weekly programs like sports talk show “Hardball,” eco-friendly urban magazine program “Green Living,” award-winning documentary series “Mukha,” Sen. Loren Legarda’s cultural documentary program “Dayaw,” and lifestyle show “Cityscape.” “Talkback with Tina Palma,” “Beyond Politics,” “Future Perfect,” The Boss,” and “On The Money” moved to the 7:30pm timeslot. Other ANC programs have retained their schedules such as “News Now” at 5am, 9am, 10am, and 11am, “Headstart with Karen Davila” at 8am, “Market Edge with Cathy Yang” at 9am and 3pm, “Dateline Philippines” at 12nn, “ANC Documentary Hour” at 8pm,“The World Tonight” at 9pm, and “Business Nighty” at 10pm, every Monday to Friday. During the weekends, returning Edric Mendoza, who got a new co-anchor in Salve Duplito, will still deliver financial news and information at 4pm on “On The Money.” People can continue to get their news fix on Saturdays and Sundays from “News Now” at 9am, 3pm, 7pm, “Dateline Philippines” at 12nn, Top Story at 5pm, and “The World Tonight” at 9pm. ABS-CBN Integrated News head Ging Reyes said there are more to come for the channel in 2017 as they further strengthen ANC’s business and political content and programming, and produce more live events like their ANCX series. “We in ABS-CBN never tire of innovating. We are always restless. We always challenge ourselves to do better. The spirit of adapting to change and delivering what our viewers need continues this year,” she said. ANC, deemed as the gold standard in Philippine news, has been a partner and the go-to news source of the country’s business leaders and decision-makers for more than two decades. For more information, visit news.abs-cbn.com/anc, or follow ANC on Facebook (https://www.facebook.com/ANCalerts) and Twitter (@ANCalerts).